Chronic stress can cause physiological changes that lead to long-lasting adaptations. Because one of its primary roles is to serve as a sensor for physiological stress, the immune system may be particularly useful in studying stress-induced changes throughout all stages of human development. 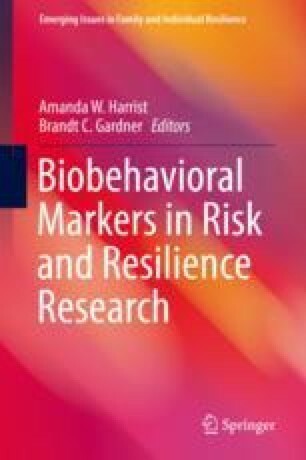 Direct immune system manipulation or interventions secondary to stress-monitoring may enable us to intervene and prevent unwanted outcomes later in life. Studies of immune system altered responses during sleep disturbances and in patients with mood disorders have elucidated mechanisms of how physiologic stressors impact the immune system and how chronic disruptions of the normal rhythms of the immune system can contribute to disease states. However, caution should be taken when interpreting measures of immune system factors in studies of psychosocial stress because of the complex bidirectional interplay of the immune system with the neuroendocrine system. This chapter will describe how these two systems influence each other under normal circumstances and how disruptions at different points during development can lead to human disease or maladaptation.